Here at Be Food Smart we believe that making the right decisions when shopping for food can have a big impact on you and your family's health, as well as an impact on the food industry. We have created this section where we highlight a specific food and help guide you on how to make a healthy choice versus simply the cheapest or what's easily available. Click on any of the foods below to read more about them. 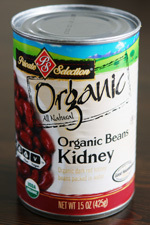 When choosing canned kidney beans, or canned vegetables in general, look for a short ingredient list. Ideally, there would just be water, a small amount of salt, and the vegetable. 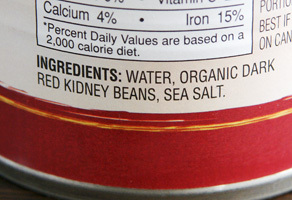 As you can see in the ingredient list below, this can of organic kidney beans did not have any extra additives. Surprisingly, it was the same price as the non-organic can with the ingredient list shown further down. Watch out for unwanted sweeteners, preservatives, coloring agents, firming agents and high amounts of sodium. If you are not familiar with an ingredient, look it up in the Be Food Smart ingredient database. 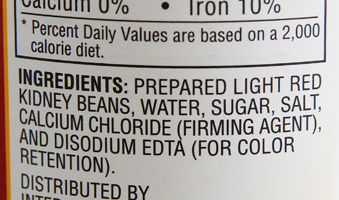 In this can of kidney beans (below), we find Sugar, Calcium Chloride, and Disodium EDTA. While canned products are extremely convenient, virtually all canned food contains a polycarbonate called Bisphenol-A (BPA). BPA is used in most plastic (water bottles, sippy cups, baby bottles, etc.) and as a liner in canned goods (including infant formula cans). BPA can leach into foods causing serious health effects and is highly controversial. Canada banned the use of BPA in baby bottles in 2008. Since then, many US states have also banned or restricted BPA. Visit the FDA website and the Environmental Working Group for more information on BPA. Skip the can altogether and make the beans yourself! Dried, bulk bin beans are extremely cost effective and easy to prepare. There are many recipes online, but most require an overnight soak and cooking for 45-60 minutes. By preparing the beans yourself, you can season according to taste and control your salt intake. Another option is finding a canned alternative. 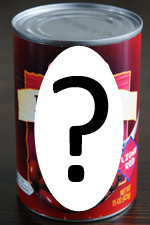 Eden Foods is the only company that we are aware of that sells readily available, BPA-free canned goods. While more expensive, at least the option now exists. Finally, if you use canned beans, make sure to rinse them prior to use. This will remove quite a bit of the salt. Not all syrups are created equal. 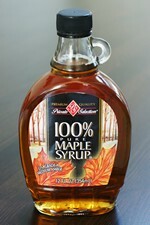 Did you know many of the most popular syrups do not contain a drop of maple syrup in them? Therefore, what to look for is pretty simple. Just look for one ingredient, pure maple syrup! There shouldn’t be anything else in the ingredient list. Watch out for syrups that don’t have the word ‘maple’ in them. Chances are that word isn’t there because it doesn’t contain any maple syrup in it. Instead you get a lot of corn-based ingredients as well as ‘extras’ like High Fructose Corn Syrup, Cellulose Gum,Caramel Color, Sodium Hexametaphosphate, Sorbic Acid, and Sodium Benzoate. It takes between 30 and 50 gallons of sap to make one gallon of maple syrup. A maple tree is generally over 30 years old before it is tapped for sap. In the U.S. maple syrup is divided into two grades, Grade A and Grade B. The Grade A syrups are lighter in color and have a milder flavor. 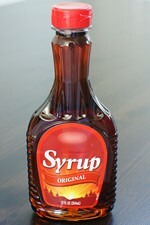 The Grade B syrups have a stronger maple flavor and are often used for cooking and baking. Mankind has been harvesting maple syrup since the 17th century! Jams, jellies, fruit spreads, preserves, they are called by many names, but all are similar in that they have a basic fruit component and then a sweetener component. That is where the similarities end unfortunately. 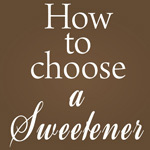 The amounts and types of sweeteners in jams vary considerably from jar to jar. 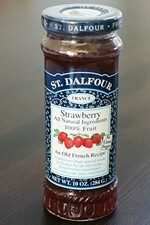 Try to look for jams that have been sweetened only by fruit juice such as grape juice. This is where things get sticky (no pun intended). The worst jams will simply be sweetened by high fructose corn syrup because that is one of the cheapest forms of sweetener. Avoid those jams. 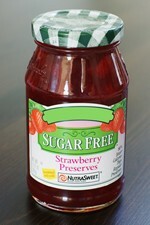 Alternatively, jams may be sweetened by plain old sugar, which is not as good as fruit juice but better than HFCS. Finally, there are generally a few ‘sugar free’ options. Be careful with these as well as they can have a lot of additional chemicals such the jam in the image below which contains Polydextrose, Maltodextrin, Aspartame, Potassium Sorbate, Calcium Chloride, Red 40. While not the easiest culinary task, canning fruit is something that’s been done since the 18th century and can be done in an ordinary kitchen. There are many types of canning methods such as the simple boiling water canner or a pressure canner. You need to invest in some equipment such as canning jars, but these can be re-used many times over.